I have seen relationships run a similar path. Many people get married and are excited about this new life to share with the one they love. However, not long after the honeymoon, the roles begin to be defined and the excitement sometimes subsides. Within the male population, many believe that the woman is to submit to the husband (Ephesians 5:20-30, NASB). I could almost write a book on this topic alone and how misunderstood it truly is; but for now, let me simply make this point - it does not mean that a wife is to become a husband's slave. In fact, as we read further into the text we find the appropriate place that a woman has within a marriage, “Husbands, love your wives, just as Christ also loved the church and gave Himself up for her…”(Ephesians 5:20, NASB). The Husband is to treat his wife with love just as Christ loved. Christ loved the church so much that He was willing to give up his own life and die for her. God expects us to treat our wives with that kind of love, respect and honor. Peter says, “You husbands in the same way, live with your wives in an understanding way, as with someone weaker, since she is a woman; and show her honor as a fellow heir of the grace of life, so that your prayers will not be hindered. “ (1 Peter 3:7, NASB). Not only are our wives to be treated as equal, they are to be in a place of honor. When we think of our honor to God, we understand it as putting Him above all things and not doing anything to disappoint Him. In a similar way, husbands are to love and honor their wives in high regard. We honor God by putting Him in a place of respect and allegiance. Husbands honor wives by placing them higher above anyone in our lives besides God. With this type of love and respect, husbands are willing to die for their wives. That means a death to lust or desires for other women. A husband who looks at other women is dishonoring his wife and that is not the type of love that Christ has for the church. Husbands are also to die to slanders against his wife. Words are equally damaging to a relationship as is physical abuse. Speaking directly to the wife or to others in slander or bad temperament against the wife is not of Christ or His will for the marriage. Husbands are to die to treating the wife as an inconvenience in the relationship. Christ loves the church and goes out of His way to show us that He wants the very best for us. 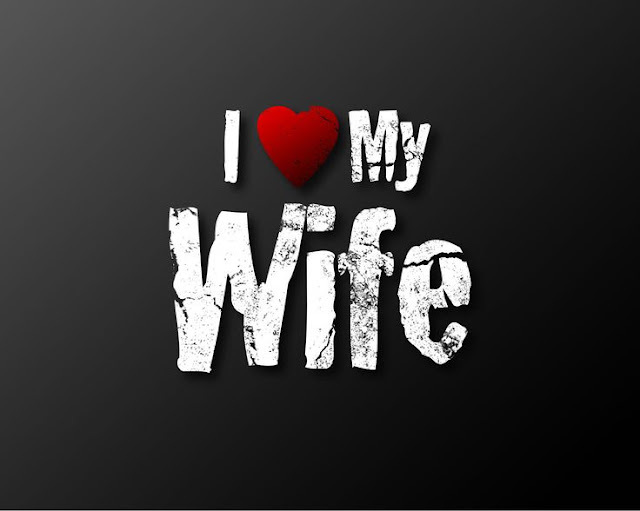 The wife is not an inconvenience in the relationship; she is the purpose for the relationship. Outside of our Heavenly Father, a husband’s wife is the reason he exists and life revolves around her as they both place God above everything. As Adam quickly forgot his enthusiasm for his wife when he first met her, many husbands also forget the reason we wanted to join in marriage in the first place. Too often, husbands place blame on the wife or treat the wife with less importance than others - that is not the love of Christ. Many years ago, when my dad and mom visited some of the Middle Eastern countries, they noticed that the families would walk across the desert in a straight line with the wife first, the children and then the husband. When my dad asked about the purpose of this arrangement he was told that the wife is the least important of the family, followed by the children. Knowing that as the family walks across the desert there is a great possibility of stepping on a landmine, the wife would be the first to step on it, followed by the children. All this to protect the husband. The God we serve says that husbands are to love and honor their wives. It is easy for me to see the dishonor of the wife as the family walks across the desert, but I also see the dishonor when I hear of men going to bars, internet sites, and magazines to lust after other women. Our relationship should resemble that of Christ’s relationship with the church. A final note regarding the word love in Ephesians 5:20; it is translated from the Greek word agapaō, which is a present imperative verb, that essentially means an action that is to be carried out or perfomed. This word is also the same that is found in the verse “Husbands, love your wives and do not be embittered against them”. (Colossians 3:19, NASB). This means that a husband is to actively and continually love his wife. Now, a wife who is submitting or subjecting herself to her husband as in Ephesians 5:22, is not subjecting herself to a husband that is mistreating, abusing, or dishonoring her, but rather to a husband that loves her and pursues giving her the desires of her heart because he places her high in respect and honor.